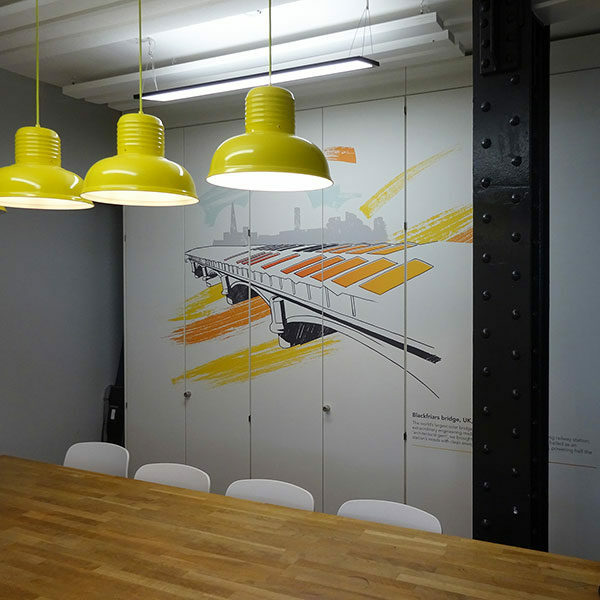 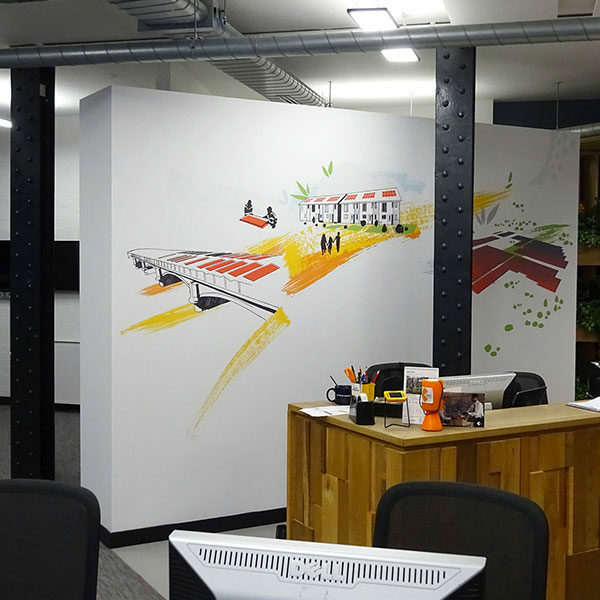 I’ve just completed a smart new set of murals for Solarcentury’s new head offices in London. 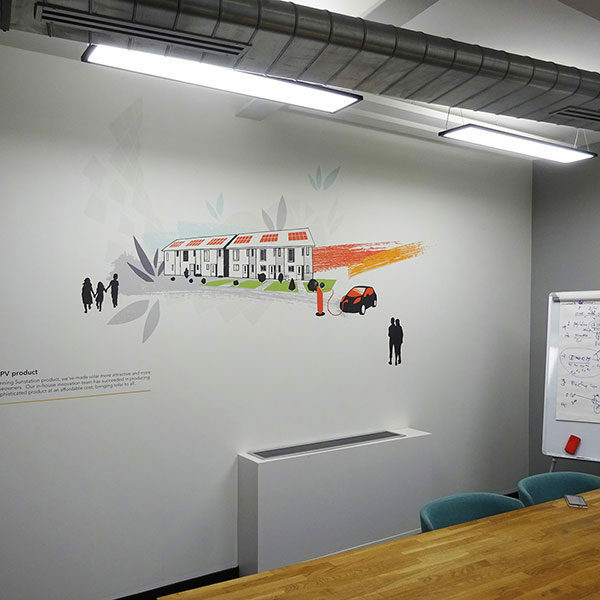 I was tasked with updating and expanding the mural that I’d made for the reception of their previous building several years ago, reusing some of the existing elements and producing new ones whilst maintaining the same style and the same palette of the company colours. 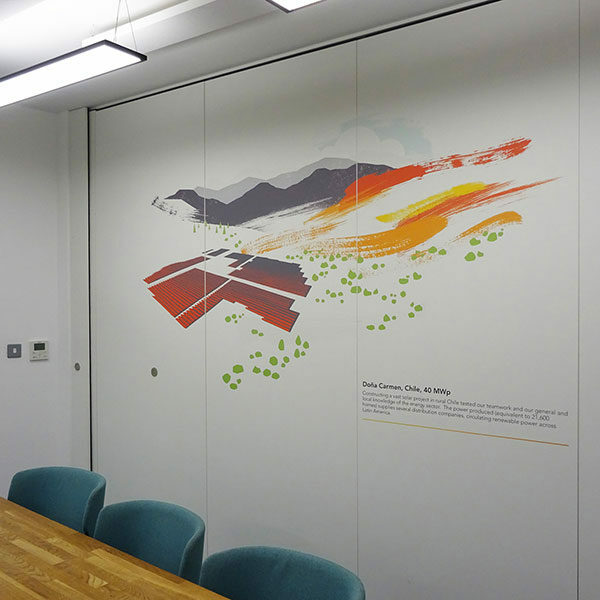 I then printed the finished artwork onto Phototex wallpaper and installed it onto various walls and surfaces throughout the building.